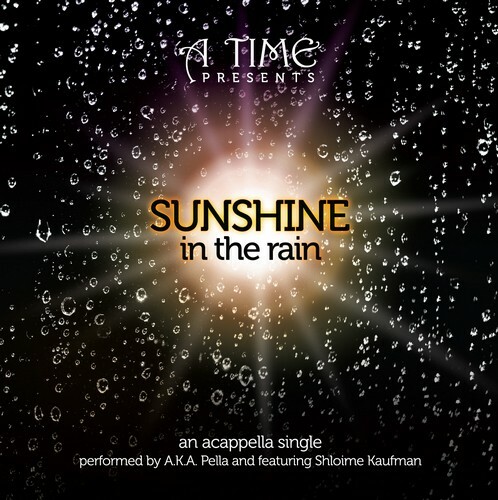 a Shloime Kaufman production: Sunshine In The Rain. To be exclusively available at the upcoming Chinese auctions to benefit A. T.I.M.E. You can receive this single FREE with your purchase of the upcoming much anticipated release of "Avodas Tzedakah", a 10 song selection album featuring the vocals of Shloime Kaufman as well as guest appearances by Abie Rotenberg, Dovid Gabay, Boruch Levine, Michoel Pruzansky, A.K.A. Pella. To be released on Lag Ba’omer. YOU can order your pre-release copy at any of the A T.I.M.E. Chinese auctions. What of you and I? Can we achieve the same?